K1 Framelock. 4.88" closed. 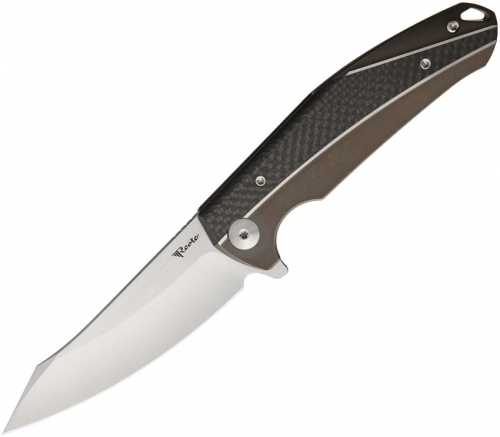 3.88" satin finish Bohler M390 stainless blade. Bronze titanium handle. Extended tang. Lanyard hole. Pocket clip. Carbon fiber handle inlay. Black nylon zippered storage case. Boxed.